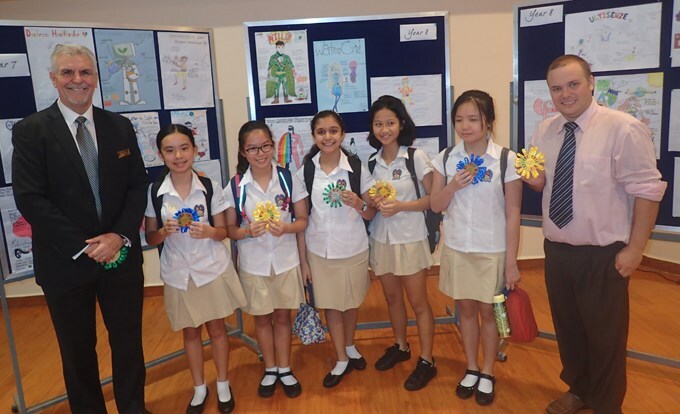 As we mentioned earlier in the week, students and teachers at BIS HCMC have been taking part in the World’s Largest Lesson to raise awareness of, and continue our work towards, the United Nations Sustainable Development Goals. In ILS lessons Year 7 and 8 have been learning about the Global Goals and the issues that face our world today. They have also been following in the footsteps of The Smurfs and finding out which goals they are most passionate about. You can take the quiz too at http://www.smallsmurfsbiggoals.com/ and start thinking about the changes you can make to tackle the Global Goals. Year 9 have taken part in the ‘Every Plate Tells a Story’ project and rating their food plates based on sustainability and nutritional value. 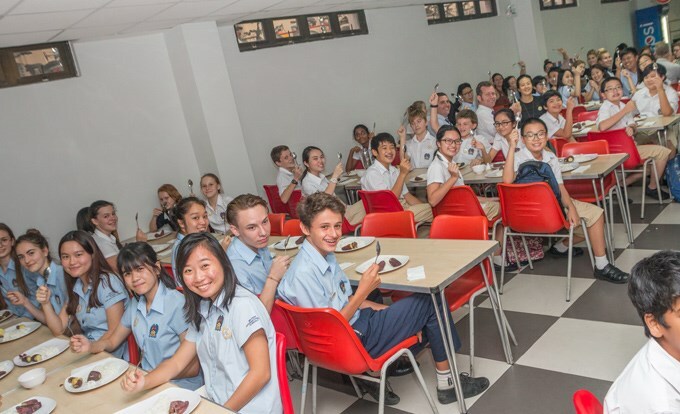 This activity is designed to encourage students to think about where their food originates and how they can have healthier and more environmentally-friendly meals. 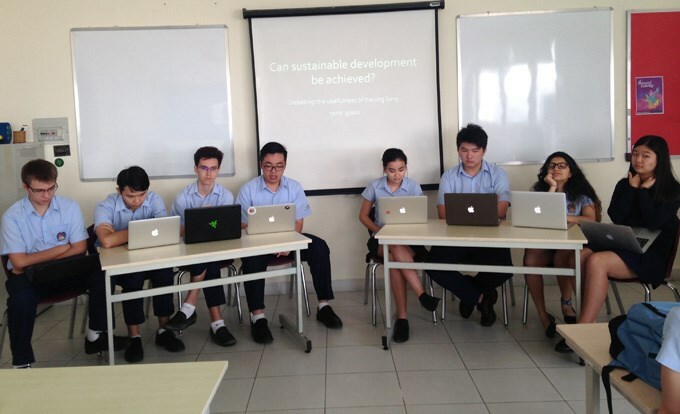 In the Sixth Form, students have been debating the topic of whether sustainable change is possible and if the Global Goals are in fact achievable by 2030. This led to in-depth discussions about the nature of the goals and the problems that exist within the world today. On Wednesday and Thursday there were a range of activities happening which included the Wall of Positivity where students could pen down their thoughts and aspirations about the two goals. 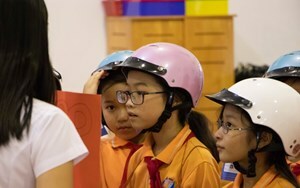 They pondered questions such as ‘What is the best way to resolve conflict?’ and showed their support for Goals 2 and 16. One passionate student wrote that he would like to see ‘all conflicts in the world to stop’ in his lifetime. 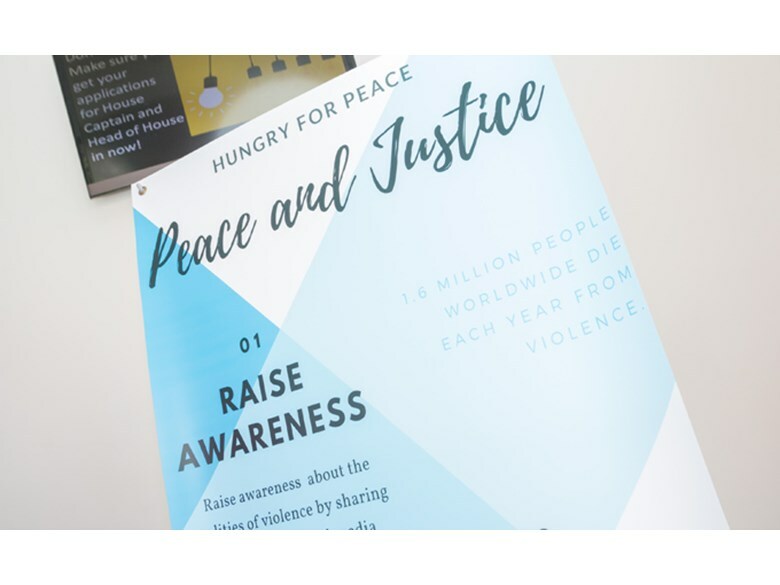 There were also stations set up for students to fold paper peace cranes with help from the Events Committee towards the aim of advocating and promoting Goal 16. 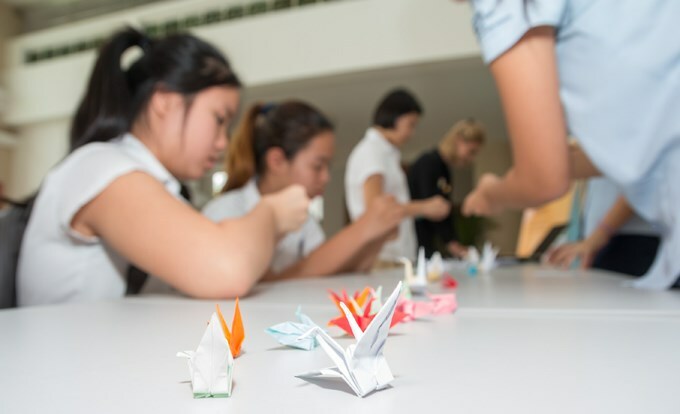 The commitment to this activity was evident from the fact that there were cranes being made not just in the undercroft but during tutor time and after students returned home. Lastly, the activity Pass the Peace proved to be a popular activity where students had the opportunity to write a positive and encouraging message to someone they treasure to tell them why or to someone with whom they have had a disagreement. 64 students and teachers had the opportunity to take part in the Passion for Ration project in the Underground, which aimed to allow participants to experience what 1 out of 9 people experience daily. This involved eating a basic meal of staple foods, and it encouraged people to think about how they could reduce food waste. Some students and staff struggled to make it through the 8 hour school day on only one basic meal. The process highlighted how lucky many of us are because we do not worry about having enough to eat on a daily basis. 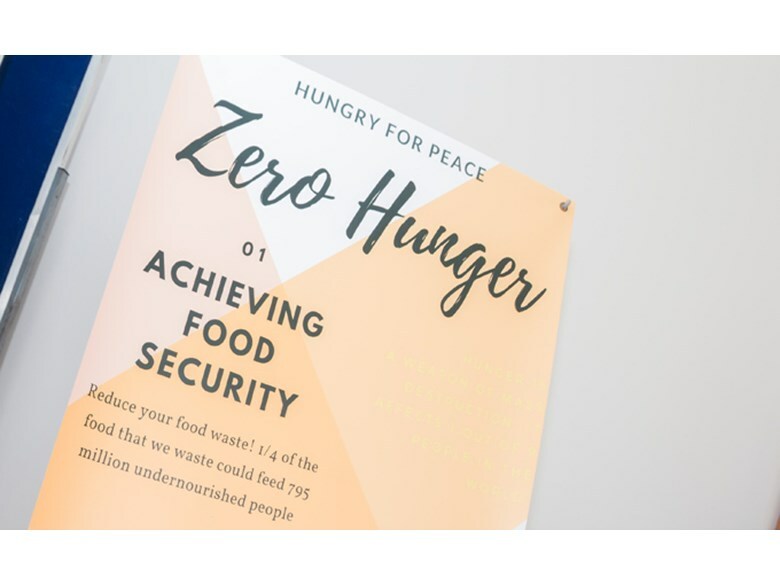 There were also conversations taking place about the inequality that exists in a world where there is enough food to eat for everyone but yet many people are starving. And Mr Jones for the teachers of course! These superheroes will be used in future Global Goals projects in school. Well done to everyone who participated. The Events Committee and Global Goals club would like to thank all of the students and teachers who have taken part in the activities throughout the week. Please keep spreading the word about the Global Goals and think about how you can join in to make changes. Together these small changes can have a big impact on life in our community.